Stone for Good luck, loyalty, Mood swings, Intelligence, Good Memory and confidence and success in profession. 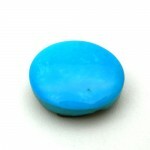 To be a gifted Turquoise brings good fortune and peace. It is an efficient healer.